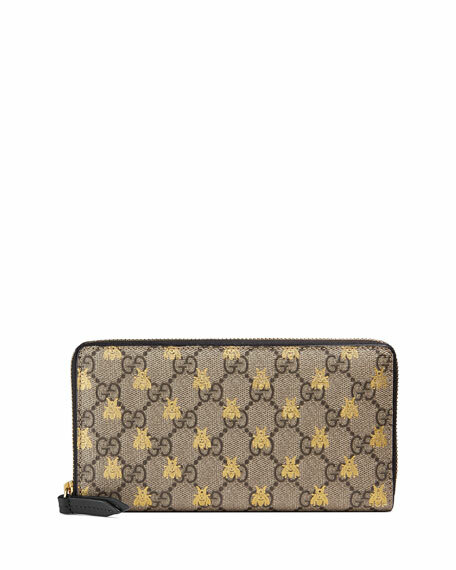 Gucci wallet in GG Supreme canvas with bee print. Divided interior; 12 card slots. 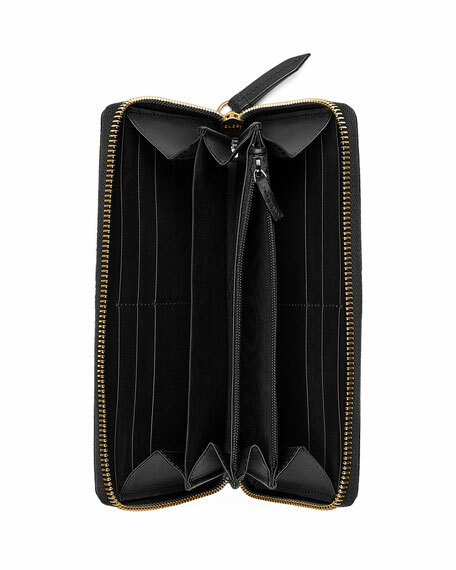 4.5"H x 7.5"W x 1"D.
Gucci mini wallet on a chain bag in GG Supreme velvet. Removable chain shoulder strap, 23.5" drop. Flap top with tiger-head spur; snap closure. Exterior, leather accordion sides. Divided interior; zip compartment. Two bill and 16 card slots. 5"H x 8"W x 2.5"D. "Dionysus" is made in Italy. 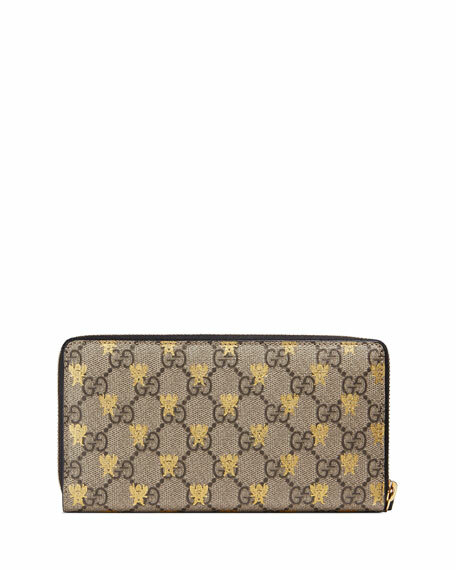 Gucci wallet in chevron-quilted calf leather. Shoulder strap with 24" drop. Flap top with snap closure. Inside, sixteen card slots and two bill compartments. Three separate interior compartments. Zip coin pocket. 5"H x 8"W x 2.5"D. Made in Italy. Gucci "Ophidia" chain wallet in Elaphe snakeskin. Crossbody/shoulder chain with 23.5" drop. Oval enamel detail with metal Double G. Flap top with mirror underneath. Moir?? lining . 12 card slots and two bill compartments. Two separate interior compartments. Zip coin pocket. 4"H x 7.5"W x 1.5"D. Made in Italy.